Located in Roquefort-la-Bédoule, about 15 km east-southeast of Marseille and at the northwestern edge of the Bandol appellation, Château de Roquefort today comprises 24 hectares of vines located on a northwest-facing mountain slope at about 375 m. The soil is mainly flinty clay-limestone. The vineyard’s orientation and altitude are said to give its wines a rare balance, which is attributed to the grapes’ slow development. The estate has been owned by the De Villeneuve family since the early 1800s and is farmed organically. Most of the wines are blends and in all the blends the grapes are cofermented. Cellar work is gravity fed whenever possible. In this instance, Roquefort has nothing to do with the celebrated blue cheese from Aveyron and envrions in the French southwest. The Provençal roquefort is derived from the Latin rocca fortis (rocky outcrop), one of which dominates the estate’s vineyards. Mostly Clairette with lesser amounts of Ugni Blanc (aka Trebbiano) and Vermentino; the Clairette, locally called petit salé, comes from vines planted in the 1950s. The hand-picked grapes were destemmed, crushed and cold-macerated on the skins before being pneumatically pressed. Fermentation with indigenous yeasts took place in temperature-controlled (18-23°C) tanks. Malolactic fermentation was blocked. Matured in concrete tanks and bottled in February and March of 2017. 11% ABV. Quebec agent: La QV. 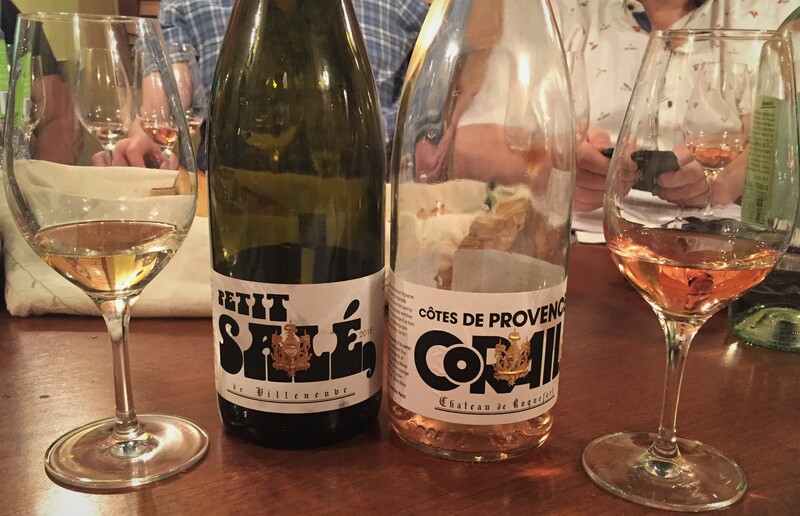 This rosé is always made from Grenache, Syrah, Cinsault, Carignan, Vermentino and Clairette, though the proportions vary from vintage to vintage; in 2016 they were 30%, 25%, 20%, 10%, 10% and 5% respectively. The manually harvested grapes were partially destemmed. Some of the varieties were cold-macerated from eight to 24 hours. All the grapes were direct pressed, with the juice being combined and fermented in temperature-controlled (18-23°C) tanks with indigenous yeasts. 12.5% ABV. Quebec agent: La QV.